Istanbul’s famed Hagia Sofia was one of numerous historic landmarks featured in this year’s Culture Hunt, designed to get teens exploring the streets of their city. Photo by Tim Griffin/Flickr. 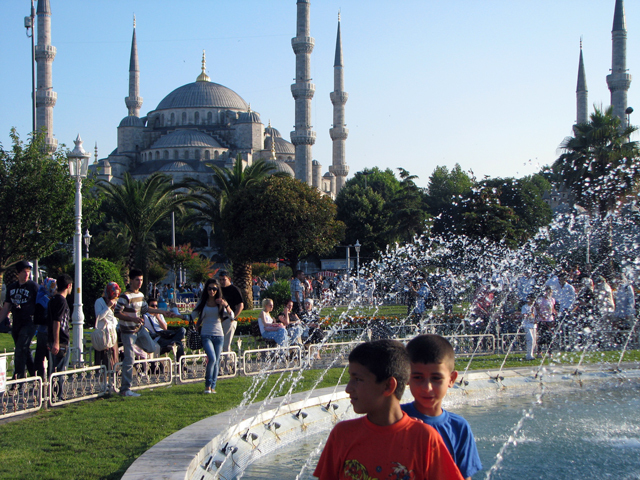 A focus on sustainable development can help Istanbul preserve its rich cultural history. For example, Istanbul’s Historical Peninsula – a UNESCO World Heritage site – contains 295 pedestrianized streets that have helped to increase the vibrancy, safety, and accessibility of Istanbul’s historic hub. By prioritizing the use of these streets for people, not cars, Istanbul’s residents connect with their history and promote sustainable urban planning. Istanbul’s recent “Culture Hunt,” in which our colleagues at TheCityFix Türkiye participated, gave teens the opportunity to explore these streets and better understand issues of sustainable transport, public space, and climate change while deepening their connection to the city’s historical roots. 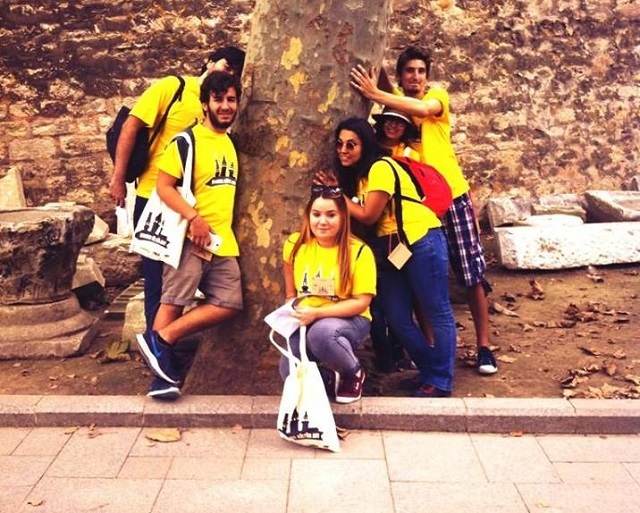 Originally organized in Ankara by the American Field Service Volunteer Association (AFSGD), the annual Culture Hunt event began in Istanbul in 2009, giving teenagers the opportunity to explore the diverse heritage of the streets they pass every day. By featuring the use of public transport, an exploration of public spaces, a climate change demonstration, and a seminar on sustainable mobility, the Culture Hunt helped spread the components of liveable, people-oriented cities among Istanbul’s youth. 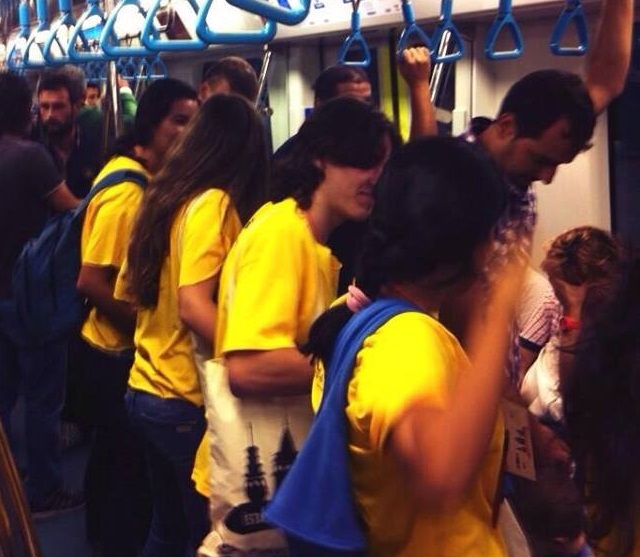 The Hunt was organized as part of the European Mobility Week – an annual campaign on sustainable urban mobility – and participants used a variety of public transport systems to arrive in the Historical Peninsula, including bus rapid transit (BRT), tram, metro, and public bus. In the Historical Peninsula – considered to be one of the most ancient metropolises in the world by the historians – they explored key historical and cultural spots. Participants in the Culture Hunt used a variety of public transport options to arrive in the Historic Peninsula. Each day, about 53% of Istanbul’s residents travel by public transport. Photo via EMBARQ Turkey. The Culture Hunt helped also raise awareness among Istanbul’s youth about the effects of climate change. 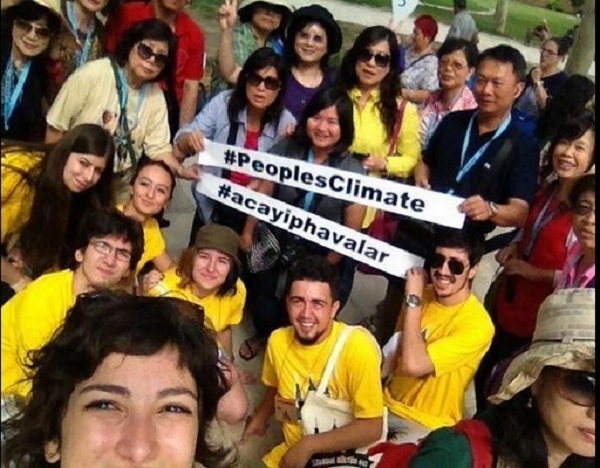 Using the People’s Climate March as a blueprint, participants in the Culture Hunt took to Tunel Square in Istiklal Avenue to have their voices heard before the U.N Climate Summit. Teens, tourists and locals participating in the Culture Hunt understood that pedestrianization helps connect residents with public spaces, and can bring a range of social benefits to cities. About 2.5 million people walk on Istanbul’s pedestrianized streets every day. Photo via EMBARQ Turkey. Events such as these in cities worldwide are helping thousands of people each year enjoy the benefits of public spaces, and mobilize support for sustainable development and sustainable transport. Since its introduction in 2002, the European Mobility Week has been steadily growing across Europe and around the World. In 2013, 1,931 cities from 47 countries officially registered for the campaign. Culture Hunt participants showed their support in the fight against climate change. Photo via EMBARQ Turkey.